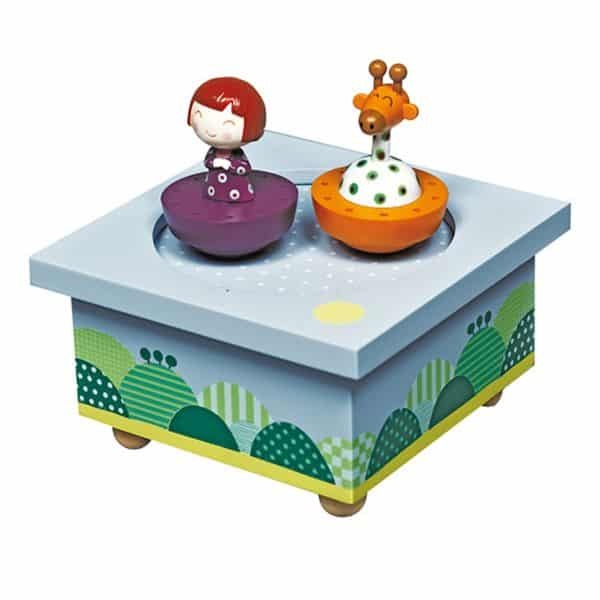 Our Christening Gifts for girls range Girl offers from French toymaker: Trousselier Girl and Giraffe Music Box Wooden Musical Box. Magnetic characters that spin when the music plays. Makes a fabulous gift for any girl or boy (as nursery decoration and not a toy). Not suitable for children under 36 months as it does contain small parts (the characters are detachable) which could present a choking hazard.